R-Theta 2: Expanded Edition is a game based in polar coordinates. Every point in the game is assigned a radius and theta value, denoting the distance of the point from the centre, as well as the angle it makes with the x-axis. 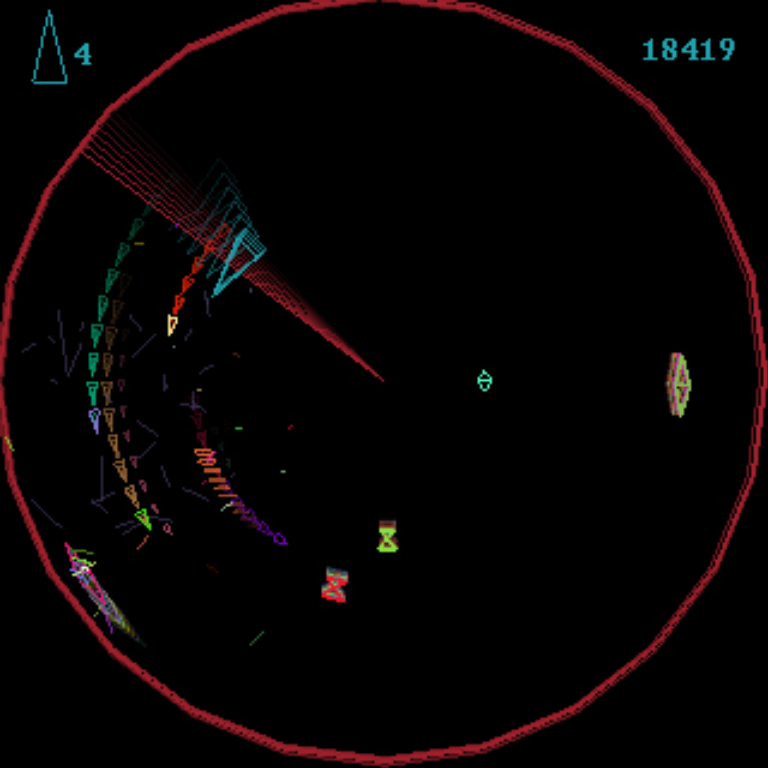 The player is in control of a triangular shooter, built into a constantly rotating radar-scope which must be protected from collision with other enemies. Use the up and down arrow keys to decrease or increase the ship's radius from the centre. Hold the X key for rapid fire, tap the C key to shoot and use the Z key to launch a destructive missile. Keys can be reconfigured by pressing the F2 function key at the title screen. This updated version includes nine new enemies and an adjustable difficulty setting.